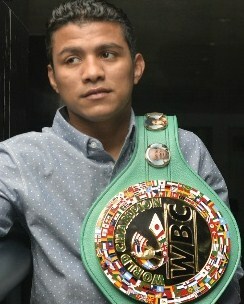 Roman “Chocolatito” Gonzalez Recent Announcement! WBC flyweight champion Roman "Chocolatito" Gonzalez (44-0, 38 KOs) will defend his title against world-ranked Puerto Rican McWilliams Arroyo (16-2, 13 KOs) on April 23 at the Fabulous Forum in the co-featured bout to the world middleweight clash between Gennady "GGG" Golovkin and Dominic "Lights Out" Wade, it was announced today by K2 Promotions. Both bouts will be televised Live on HBO. This is the third straight card pairing top pound-for-pound candidates Golovkin and Gonzalez. Arroyo is the twin brother of IBF super flyweight champion McJoe Arroyo. Tickets for the April 23rd event priced at $400, $300, $200, $100, $60 and $30, will go on-sale Tuesday, February 16 at 12:00 p.m. PT through Ticketmaster (Ticketmaster.com, 1-800-745-3000) and the Forum Box Office. About his second world title opportunity, Arroyo stated, "I am very happy with this opportunity to fight for the world title again. We were confident that this fight would come and now is the time to continue training to bring this title to Puerto Rico. We know that Roman Gonzalez is a great fighter, one of the best today, and we will get in the best condition to win that belt. It is our dream to be world champions, my brother (McJoe, IBF superflyweight champion) and I, and I know we will get it done." Said Gonzalez, "I want to thank God, Teiken Promotions, especially my father Mr. Honda, HBO, K2 Promotions, and my family, and my team for helping me once again obtain the opportunity to fight representing my country and my fans. God bless!"